REVIEW: Unapologetic females in "A Doll's House, part 2"
Throughout history, the fate of the woman is predetermined. She is to become a wife, and then to become a mother. This is what Nora Helmer, in Lucas Hnath’s A Doll’s House, part 2, is so brazenly arguing against, as a then-radical 19th century feminist. She might still ruffle feathers to this day, especially in contemporary Philippines, where divorce is still successfully impeded. While modern times have made strides for gender equality, women here are still bound by lingering expectations of being a spouse, or being a mother, with self-actualization outside of family is a bonus instead of inalienable human right. 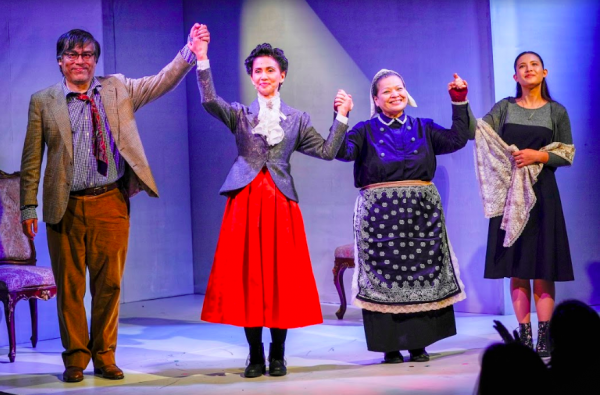 Hnath’s play is a sequel to Henrik Ibsen’s 1879 play, A Doll’s House, where Nora had walked out on her family, deciding against staying in a traditional household where her only value is wife and mother. But it’s not necessary to be familiar with Ibsen’s work to follow or enjoy part 2. The appeal is in what the characters are saying, not so much who they are. It’s fifteen years after Nora (Menchu Lauchengco-Yulo) walked out on her family. Now a famous feminist writer, she found out that her husband, Torvald, didn’t file for divorce. Fearing that she might be outed as a hypocrite (after penning tomes that encourage women to leave their spouses), she returns to her husband’s home to seek for a proper dissolution to their marriage. 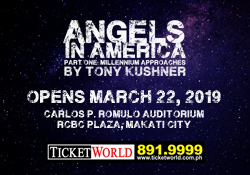 She encounters her family’s nanny first, Anne Marie (an ever excellent and entertaining Sheila Francisco), a woman of her time who took it upon herself to care for the family Nora has abandoned. And then there’s tormented Torvald (Carlitos Siguion-Reyna), who is naturally harboring more than a little resentment for his wife. Nora doesn’t bat an eye at anything they sling at her, uncompromising (even proud) of the life she had built for herself and the beliefs she espouses. It is only when she meets her child Emmy (Rachel Coates), now grown, where there is a tinge of sadness over her decisions. First-time director Cris Villonco didn’t get in the way of Hnath’s words, assembling instead an ensemble of strong performers that will argue for their own beliefs with absorbing believability. 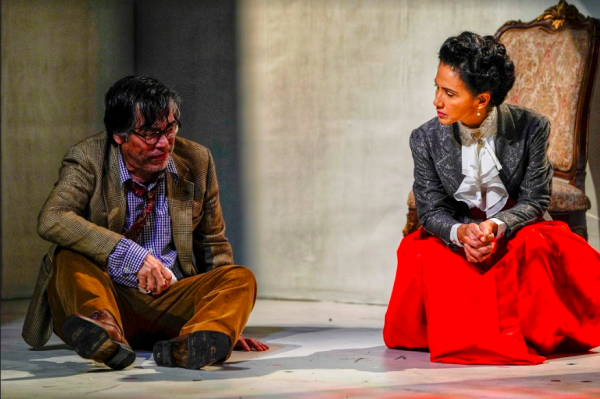 Villonco also plays up the modern themes of both Hnath and Ibsen with Joey Mendoza’s set of plain white walls, with projections (by GA Fallarme) of whichever character is set to confront Nora in the upcoming scene. Mendoza’s costumes, too, seem to add to the feeling that the story is suspended in a time between then and now, with characters wearing clothes that are a mix between the 19th century and modern times. Lauchengco-Yulo portrays Nora with unflinching resolve. There is not a moment where she seems to balk at the words she is saying, even with the full understanding of what she’s lost. 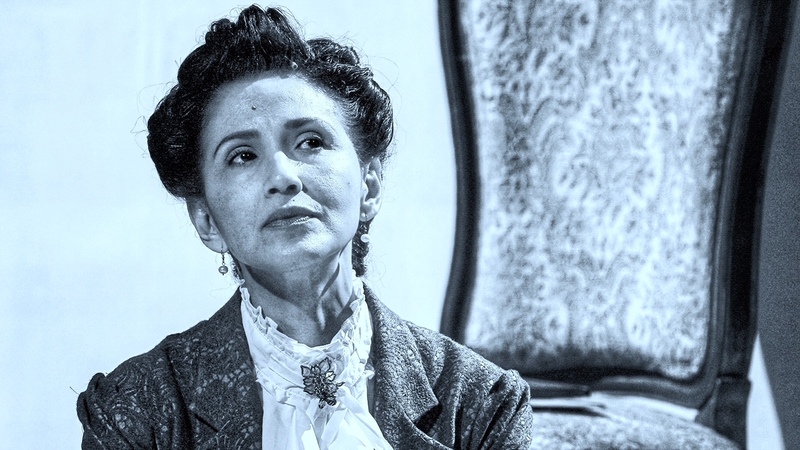 Lauchengco-Yulo’s captivating performance makes Hnath’s words a piece of female empowerment, radical though it may be (at one point, Nora does boldly claim that marriage will be a thing of the past in her near future). Siguion-Reyna’s Torvald is a shell of a man, a complete contrast to Lauchengco-Yulo’s self-assuredness. Torvald, here, is only woeful and attempting at sympathy. Rachel Coates, as Emmy, is chillingly detached, with a pleasant demeanor for a young woman abandoned as a child. Coates gives Lauchengco-Yulo an equal sparring partner to present her with the real aftershocks of her decision. Just as Nora was clear-eyed in leaving her husband, Emily is just as clear in the life she had chosen. Villonco has put together a brisk, thoroughly engrossing 90 minutes of characters humorously, earnestly expressing their own views on marriage and family. It’s an entertaining show, but most of all, thought-provoking.